Some classically-trained musicians have dared to venture away from the world of classical music. Sometimes the results aren’t always the best (cue cheesy Bond quartet music), but at other times, some collaborations produce the most remarkable and sometimes even fun results. I have always liked Jacques Loussier for jazzing up every work he plays, and recently, the PianoGuys and Gabriela Montero have caught my attention. 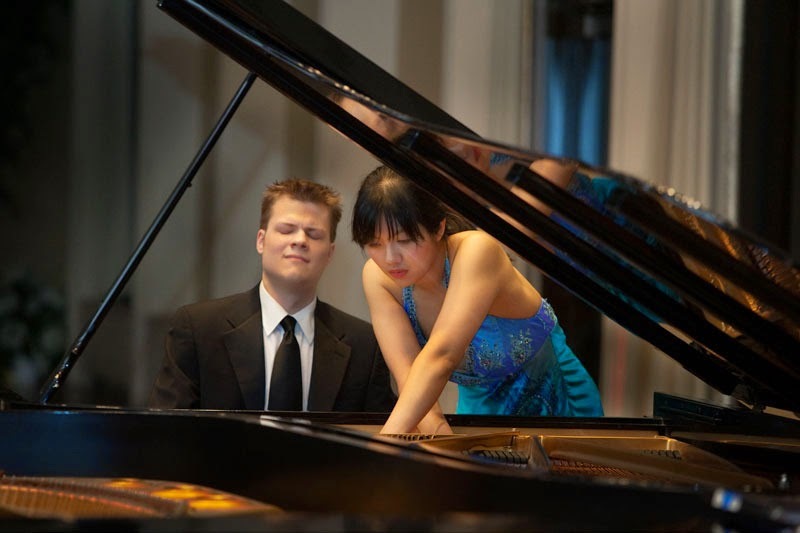 In the same vein, duo pianists Greg Anderson and Elizabeth Joy Roe, better known as Anderson and Roe, play practically everything from baroque to ragtime, Rimsky-Korsakov to Radiohead. Having missed their 2012 concert because I was still in the UK (read Pianomaniac’s review here), I’m really quite excited to watch their concert here this year. On this year’s menu is a good mix of classical and contemporary, all fresh, original arrangements of popular favourites such as Saint-Saens’ The Swan, Rimsky Korsakov’s Flight of the Bumblebee and even Radiohead’s Paranoid Android! Also included on the programme are selections from their latest CD, An Amadeus Affair. FLIGHTS OF FANTASY promises to be an evening of high-octane entertainment and fun for both classical and contemporary music enthusiasts alike. So come, and be enthralled by the dynamic pianism and creativity of Anderson and Roe! 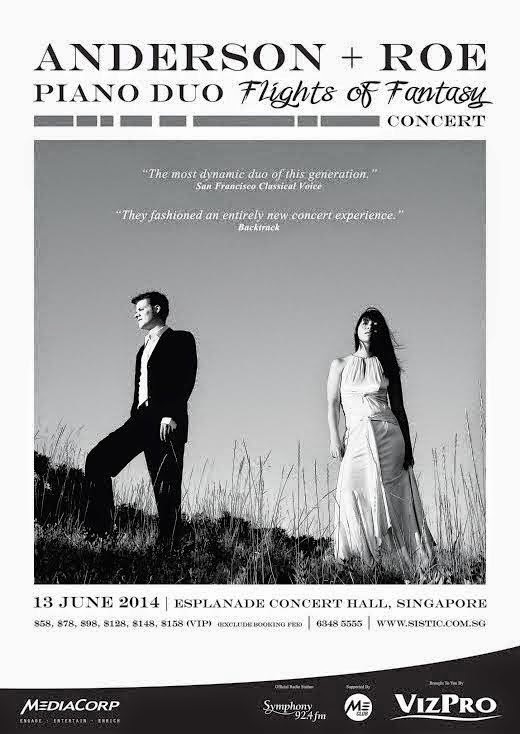 One night only, on the 13th of June at the Esplanade Concert Hall. Tickets are available from Sistic and priced from $58 to $158.